Reading children’s books is always a great way to discuss difficult topics with children. 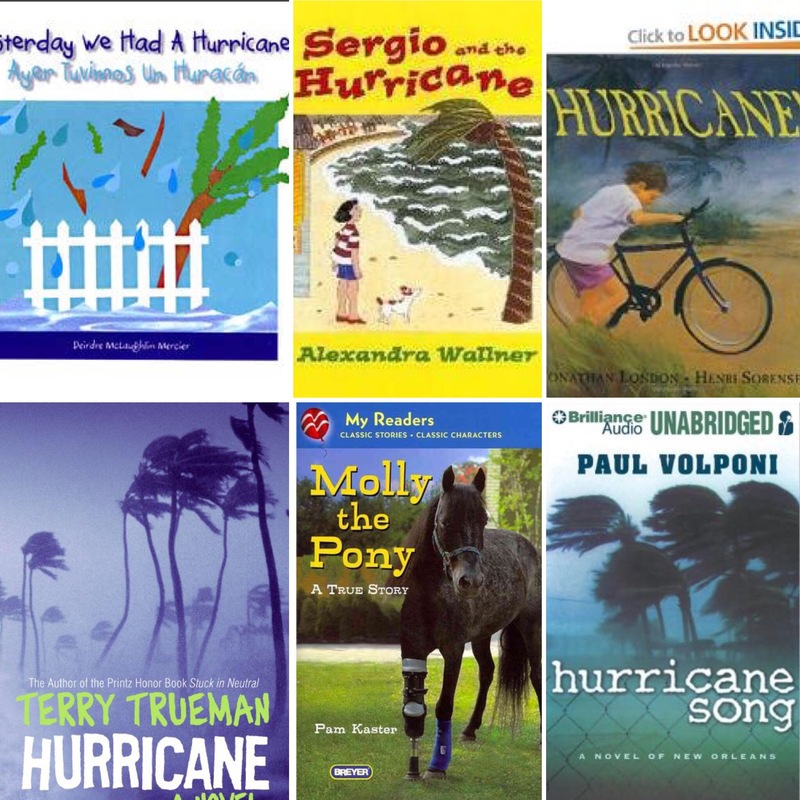 Today I am sharing some children’s books to help nannies, au pairs, and parents have age-appropriate discussions about hurricanes with children. I found these book reviews a year ago by Elizabeth Kennedy and Susan Larson during a storm that hit an area where I live. Below is a list of both fiction and nonfiction stories that focus on preparing for hurricanes, living through them, and dealing with the aftermath. 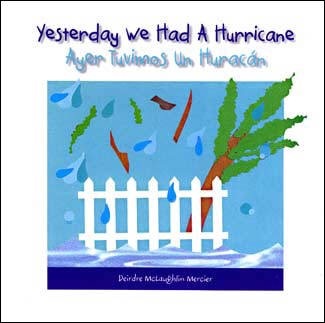 Yesterday We Had A Hurricane, (appropriate for three- to six-year-olds) is a bilingual picture book in English and Spanish, provides an introduction to the effects of a hurricane. The author, Deidre McLaughlin Mercier, a teacher and counselor, has done an excellent job of presenting information in an age appropriate manner for children three- to six-years-old. Narrated by a child living in Florida, the book is illustrated with wonderful bright fabric and paper collages that effectively illustrate the damage a hurricane can do in a way that will not frighten small children. With humor and emotion, the child describes the loud wind, trees falling, the driving rain, and the good and bad aspects of being without electricity. Yesterday We Had A Hurricane is a good book for young children. Review by Elizabeth Kennedy. 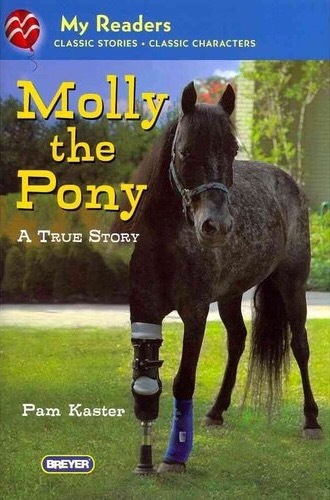 Molly the Pony (appropriate for four- to eight-year-olds) is a true story by Pam Kaster. This is the story is about a pony that waits in her stall for her owner to return during a hurricane. The abandoned pony was rescued from a south Louisiana barn and relocated to a farm. But Molly’s story took another turn when she was attacked by a dog on the farm and her leg had to be amputated. Fitted with a prosthetic leg, Molly now travels to children’s hospitals and retirement homes. Kaster, who lives in Zachary, is also the author of Zydeco Goes to Horse Camp and is an editor of the Equine Facilitated Mental Health Association newsletter. Review by Susan Larson. Set in San Juan, Sergio and the Hurricane (appropriate for five-to eight-year-olds) tells the story of Sergio, a Puerto Rico boy, and his family and how they prepare for a hurricane, experience the hurricane, and clean up after the hurricane. 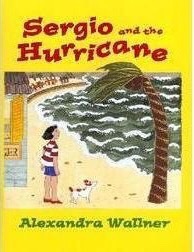 When he first hears that a hurricane is coming, Sergio is very excited, although several adults warn him, “A hurricane is a very serious thing.” The story emphasizes all of the preparations the family makes in order to get through the storm safely and the change in Sergio’s feelings as he moves from the excitement of preparing for the storm to his fear during the storm and shock at the damage caused by the storm. The gouache artwork by author and illustrator Alexandra Wallner gives a real sense of Puerto Rico and the effects of a hurricane. At the end of the book, there is a page of facts about hurricanes. Review by Elizabeth Kennedy. 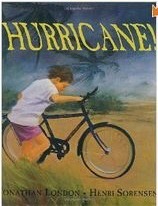 The children’s picture book Hurricane )appropriate for six- to nine-year-olds) by Jonathan London and Henri Sorensen tells the dramatic story of two brothers and their parents who, with little notice, have to flee their home for an inland shelter. It starts as a beautiful morning in Puerto Rico. The two boys walk from their home on stilts down to the ocean where they go snorkeling. Just as they realize the weather has changed, their mother rushes to tell them a hurricane is on its way. The weather gets progressively worse, and the family packs and flees their home just as sheets of rain begin to fall. Author Jonathan London’s dramatic language and artist Henri Sorenson’s double-page oil paintings capture all of the drama and fear of the family’s evacuation and the waiting in the shelter until the hurricane ends. The book ends with storm cleanup and the return of good weather and regular daily activities. Review by Elizabeth Kennedy. 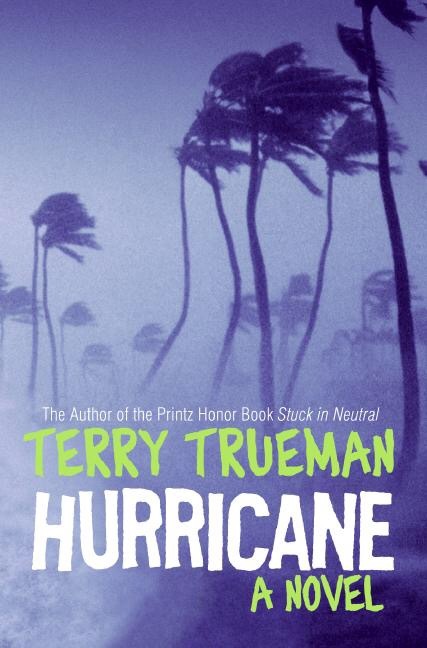 Hurricane is a novel by Terry Trueman (appropriate for ages 10 and up) is a book that is not about Katrina (though the book offers a postscript about what happened here) but about Hurricane Mitch, which devastated Honduras in 1998. Thirteen-year-old Jose must care for his family — and his village — in the horrific aftermath of the storm. This book would be useful for young Katrina survivors, who will see that they’re not alone, and that children are far from powerless. Review by Susan Larson. 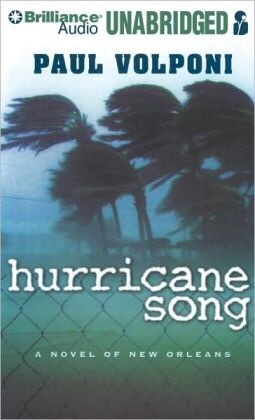 Hurricane Song is a novel about New Orleans by Paul Volpone (appropriate for ages 12 and up) about a young football star and his father, a musician, who seek refuge in the Superdome together during Katrina and later return to rebuild their lives in New Orleans. The novel ends on a triumphant note, when the Saints — and Miles and his father — return to the Dome. Review by Susan Larson.